Commonly called the blue puffer or blue reliever puffer – for example Ventolin. Work quickly – within a few minutes. Open the airways by relaxing the tight muscles. Gives quick relief from cough, wheeze and shortness of breath symptoms. Should be given only when needed. Side effects – the ‘shakes’, a rapid heartbeat, hyperactivity in children. These side effects only last for a few hours. Reduce the swelling and mucus in the airways and make the airways less sensitive or ’twitchy’. Must be taken every day as directed to work properly. Side effects – hoarse voice, sore throat or thrush in the mouth (rarely seen in children due to the low doses used). Potential side effects can be reduced by using a spacer and rinsing your mouth out after use. Montelukast preventer medication is available in tablet form. It is not a steroid. It is used in mild to moderate asthma and seems to benefit children whose asthma is allergy or exercise based. Long acting medications to relieve symptoms of asthma. Work by opening the airways and keeping them open for 12 hours. 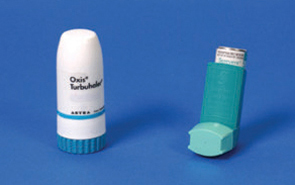 Used in conjunction with preventers, usually as a combination inhaler. Side effects – the 'shakes', a rapid heartbeat, hyperactivity. 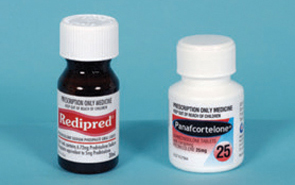 Steroid medication is used for severe asthma attacks which do not respond to regular reliever medication. This may come in tablet or liquid form. These medications reduce the swelling and mucus in the airway. It takes about 4 hours for this to start working. Steroid medication is usually taken for 3 days. In severe attacks, you may be given a longer course. Side effects – increased appetite, weight gain, moodiness. 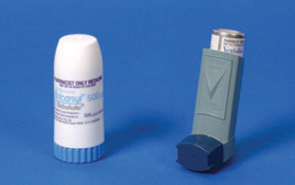 Combination inhalers combine a preventer and symptom controller in one inhaler device. 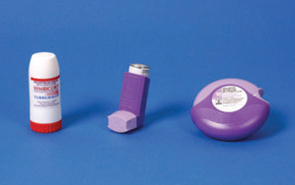 There are a variety of inhaler devices which deliver these medications, to suit both children and adults. Inhaling (breathing the medication in) means that the medication reaches the airways most effectively. 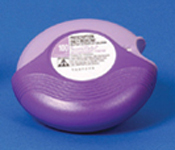 Metered dose inhalers contain aerosol medications that are best given through a spacer device. There are 2 sizes available, small volume spacers for children under 5 and large volume spacers for children over 5, and adults. 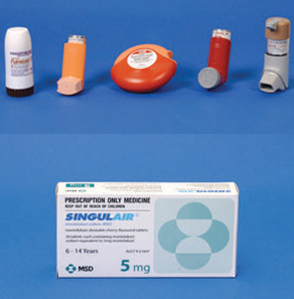 These are the most common type of inhaler, often referred to as puffers. Accuhalers and turbuhalers are dry powder devices that can be used by children over 8, and adults. Autohalers are breath activated aerosol devices that can be used effectively by children over 8, and adults. Your doctor may order a breathing test called spirometry which measures airway obstruction and can be used to monitor response to medication. It can be done by most children from about 6 years of age.